 The College of Arts and Sciences Leadership Board Faculty Fellowships recognize the College’s most promising or most accomplished teacher/scholars, individuals early in their careers who demonstrate exceptional promise or faculty members who have brought distinction to the College and University throughout their careers. The Leadership Board contributes $45,000 annually to support nine faculty fellows (three from the arts and humanities, three from the natural sciences and mathematics, and three from the social sciences). Three fellows are selected each year (one from each division) for a three-year term. Nominations are solicited from A&S departments late in the fall semester and are due the following April; fellows are named in May. For more information, contact Kevin Reid, Director of College Support Boards, at krreid@ua.edu or (205) 348-7009.